Here’s a helpful, time-saving tool for handgun owners. 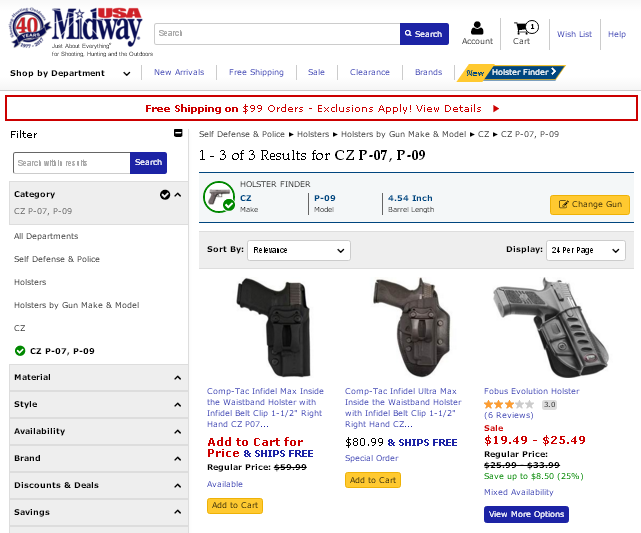 MidwayUSA’s new online Holster Finder lets you quickly find the right holsters for popular makes and models of pistols and revolvers. The wide variety of carry styles, materials, and features can make finding the right holster difficult or confusing. Drawing on a database of over 125,000 gun/holster combinations, the MidwayUSA Holster Finder turns that complex task into an easy three-step process. The selection process is simple: 1. Choose Pistol or Revolver; 2. Select Make and Model of Handgun (and barrel type/length); 3. Click to view results. Just choose your gun type, select your make, model and barrel, then view the results. All major holster types are included: Ankle, Belly Band, Belt (outside waistband), Chest, Competition, Drop Leg, Inside Waistband (IWB), Paddle, Pocket, and Shoulder. 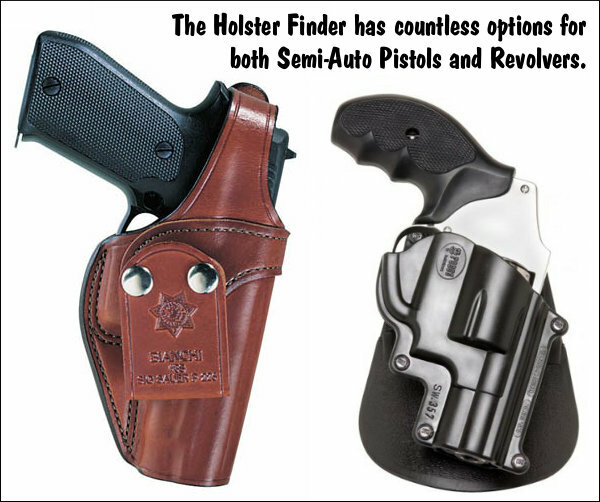 Test the MidwayUSA Holster Finder by visiting www.MidwayUSA.com/holster-finder. 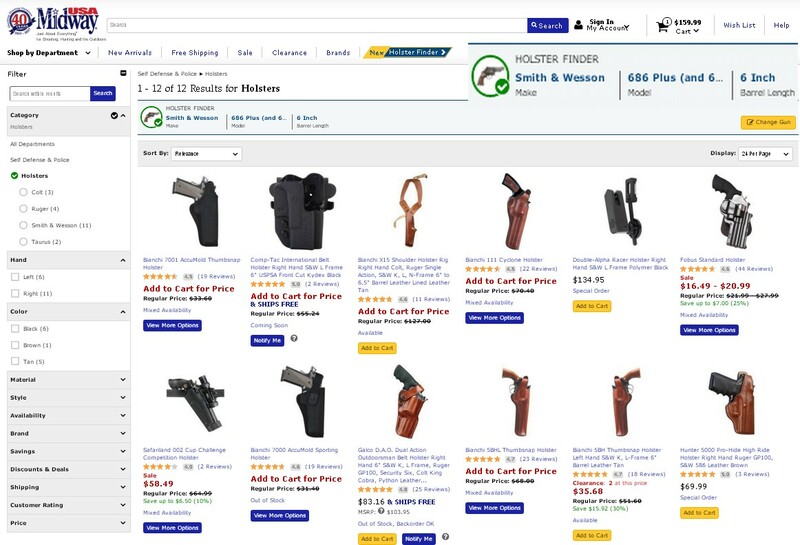 Share the post "Find the Right Holster for Your Handgun in Seconds"
Doesn’t work very well, put in a S&W 686 with 6″ barrel and got no results. I know the carry several that fit it. Click above link to see a photo with 12 holsters!